James Snyder. Photo by Ariel Jerozolimski. JERUSALEM.- Mayor Nir Barkat conferred the title of Honorary Citizen of Jerusalem on Israel Museum Director, James Snyder for his inspirational management of the Israel Museum. Participants in the ceremony, held at City Hall, included Bank of Israel Governor, Prof. Stanley Fischer; Charles Bronfman; Michael and Judy Steinhardt; and Lynn Schusterman, among others. James Snyder was born in 1952 in Pittsburgh, Pennsylvania, USA. Snyder is a graduate of Harvard University and a Loeb Fellow of Harvards Graduate School of Design. In 1997 he was appointed Director General of the Israel Museum. 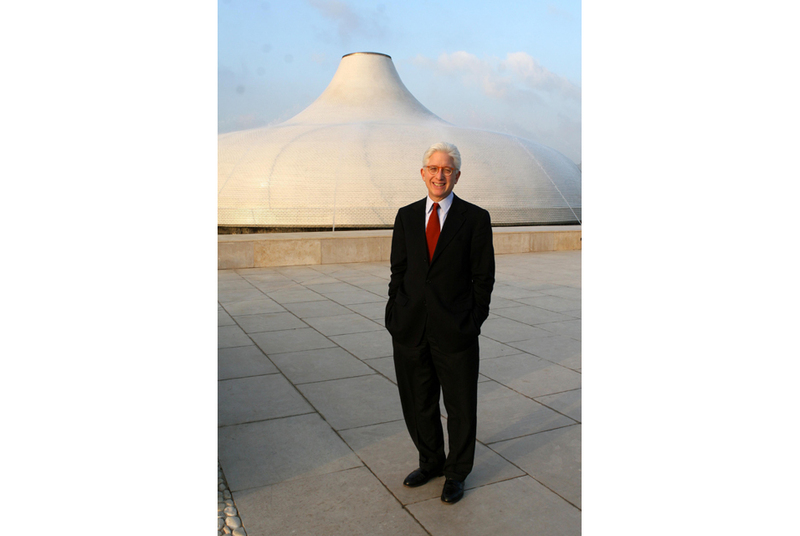 During his tenure as Director, the Israel Museum has become one of the ten largest and most important museums in the world. Since its renewal, completed in 2010, the Museum has won international recognition. It has doubled in size, developed new visitor facilities, and added breathtaking new artistic masterpieces to its collection. The Museums Art Garden, now features Turning the World Upside Down, Jerusalem by the artist Anish Kapoor. During Snyders tenure, the Museum has strengthened its international presence with an ambitious series of important loan exhibitions in Jerusalem and traveling exhibitions worldwide; a number of important enterprises, including the restoration of the Shrine of the Book, and the relocation of the Model of Jerusalem in the Second Temple; continued to expand its holdings across all of its collecting areas; developed its network of International Friends organizations, launched a campaign to double its endowment, and underwent a series of upgrades and enhancements. The title of Honorary Citizen of Jerusalem was first conferred on former President of the State of Israel, Professor Chaim Weizmann, and was later awarded to Prime Ministers David Ben Gurion and Moshe Sharett, as well as to Moshe Wallach, the founder of Shaare Zedek Medical Centre. The title is given to a select number of leaders for exceptional contributions to the city and its welfare.